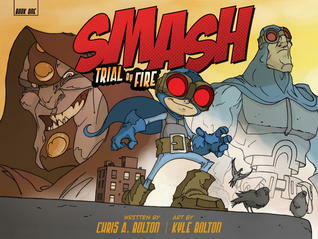 Please welcome Chris A. Bolton, author of the comic book, SMASH: Trial by Fire to GreenBeanTeenQueen! 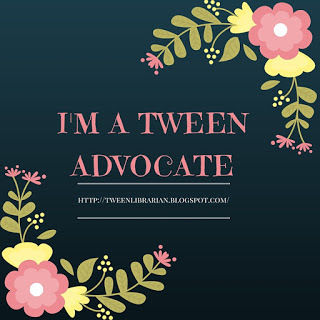 I haven't been what you could call a "child" for, um, several years now. (How many? Never you mind.) But my childhood experience with my local library was so strong that, to this day, when I hear the word "library," my first thought is: Asterix. Surely you know of Asterix the Gaul? The star of the French comics created in 1959 by writer René Goscinny and artist Albert Uderzo? Asterix is the short, shrewd, blond-haired warrior who, along with his enormous friend Obelix, stumbles into countless adventures, usually while battling the Roman army that surrounds their tiny Gaulish village. Like soccer and Tintin, Asterix is hugely successful and wildly beloved all over the world -- but only moderately popular in the U.S. As a young boy who loved and devoured superhero comics featuring Batman or Spider-Man, I'd never heard of Asterix until one fateful Sunday afternoon when my mom took me to the public library in Eugene, Oregon. But, at seven years of age, I found the dozen or so shelves of the children's section quite daunting. Where would I begin looking? And more importantly, how would I ever stop? In short order, a shelf of books caught my attention. These peculiarly-sized volumes were called "albums" in Europe and today would be labeled "graphic novels" (despite being not quite novel-length). But back in the mid-1980s, they were just oddly-shaped, taller-than-normal comic books with hard covers that stood out to me at a glance. Two memories jump at me as I write: the tape on the covers, and the shape of the characters' hands. The Asterix volumes all had reddish tape along the spines, presumably to patch them together after countless eager readers had worn the bindings to splinters. The titles of the books had to be retyped on the tape in that ubiquitous Courier font indicative of typewriters. I'm sure hundreds of library books underwent his life-saving procedure, but I'll always associate the look and tactile feel of that tape with the well-loved Asterix books in the Eugene library. And those hands! There's something of a consistent style to all the European comics I've seen from the 1950s and '60s. Most were probably inspired by Tintin, although very few that I've found seem to try and actually imitate Herge's distinctive visual style. But the look of Asterix was familiar to me from The Smurfs, the Belgian comic series created by writer/artist Peyo in 1958. In the early 1980s, the Smurfs were enjoying a newfound popularity in the U.S. thanks to a hit Saturday morning cartoon series. Oh yes, I was a huge fan of the Smurfs! I watched the cartoon religiously and bought as many of the comics as I could find -- although, oddly, only a handful of Peyo's Smurfs books were translated into English and published in the U.S. until very recently. As a budding artist -- until I grew frustrated with my limitations and turned to writing, a much better fit (while my younger brother, Kyle, became the family artist) -- I was captivated by the way Peyo draw the Smurfs' hands. Big, round palms with long, nimble fingers that broadened at the ends. Tight, compact fists that swung like little clubs. I filled mountains of scratch paper with drawings of hands, trying to copy Peyo's distinctive proportions -- the likes of which I had never seen in any other comic book. I don't know if Uderzo copied Peyo (who was already well-known in Europe for his pre-Smurfs comics), or if they went to the same art school, or what. All I knew was, they both drew the same, magnificent hands! From then on, I returned to the library every couple of months. I found numerous other books to read and treasure. Many of those are now sadly out-of-print, although I've managed to hunt down some favorites on eBay (all ex-libris). But I always walked out with a least an armful of Asterix books! Looking back, I think what ultimately drew me to Asterix was the mixture of fun, cartoony art with action-packed adventure that managed to be both humorous and exciting. At the time, few American comics achieved -- or even attempted -- that balance of tones, much less that dynamic visual style. Spider-Man made a lot of corny jokes, but he took crimefighting more or less seriously -- and so did the comics in which he starred. Even when hugely outnumbered by Roman legions, however, Asterix and Obelix faced their challenges with unwavering grins firmly affixed -- and so did their readers. Many years later, I had this balance of tones in mind when my brother and I developed our comic Smash, about a ten-year-old superhero. We wanted to put our pint-sized (and, come to think of it, Asterix-sized) hero in situations of real danger with genuine, life-threatening consequences -- while still finding humor in the characters and their predicaments. I'm sure we have a long way to go before we even approach the mastery of storytelling magic in Asterix, but we're determined to get there -- or, at least, as close as we can. Today, I constantly visit my closest branch of the Portland library. Thanks to the internet, I can put a hold on the book or DVD I want, stroll into the building, find my reservations shelf, and head out with my checked-out treasures in just a few, short minutes. But I like to stop and linger now and then. Stroll through the shelves, browse unfamiliar spines, and see what jumps out at me. Not long ago, I wandered into the children's books room. My gaze fixed on a shelf of graphic novels whose spines were instantly familiar (even without the distinctive red tape or Courier titles). I scanned a bunch of the Asterix books, admiring those beautiful hands and recalling those long-ago childhood memories. Then, a boy of about eight or ten walked in and darted straight to that shelf. He skidded to his knees and pulled out the Asterix books, one at a time. As he flipped the oversized pages, his eyes were as huge as a Roman centurion's when Asterix bore down on him with fists cocked. I walked away to leave the boy to the lifetime of wonderful memories he was creating at the library.